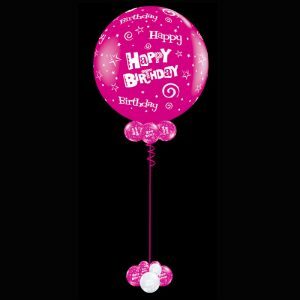 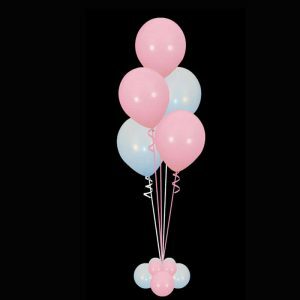 Beautiful Balloon Bouquets for every occasion – you chooose the colour and occasion theme. 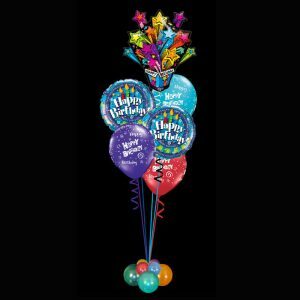 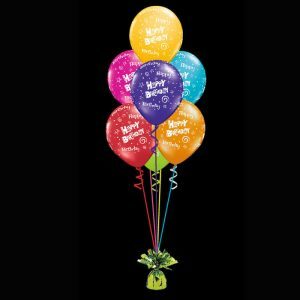 All Bouquets last as long as possible as we treat all latex balloons with Ultra Hi float solution. 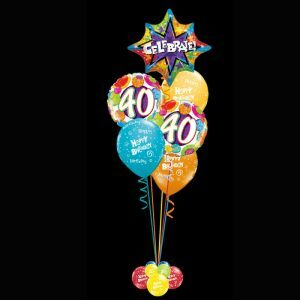 Prices shown are for 1 bouquet but minimums do apply. You can add more bouquets when ordering – we make them in any colour combination to suit your party theme. 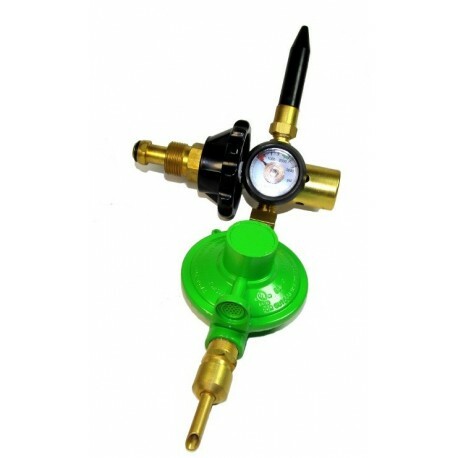 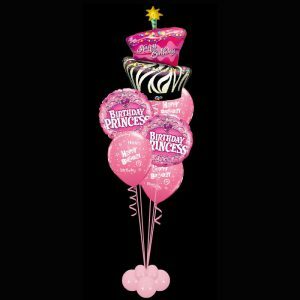 Prices are plus delivery or you can collect them from our warehouse if ordered online. Balloon Bouquets are weighted with a lovely foil fringe weight. 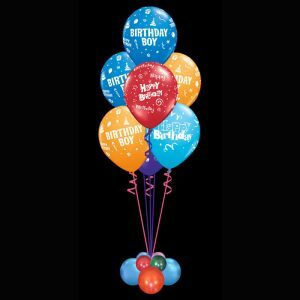 You can choose any colour combination for your balloon bouquets. 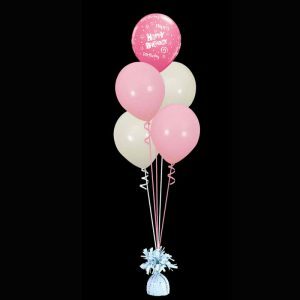 We arrange the bouquets on site to prevent them from tangling during delivery. 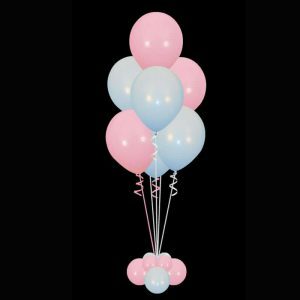 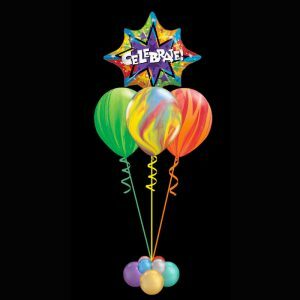 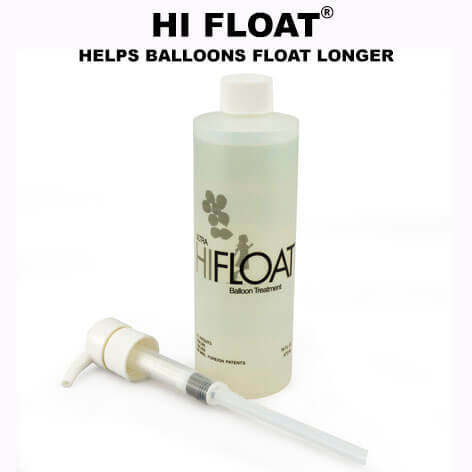 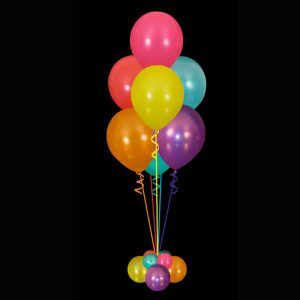 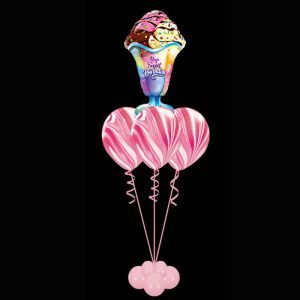 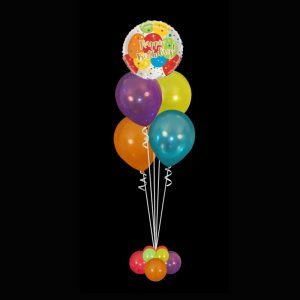 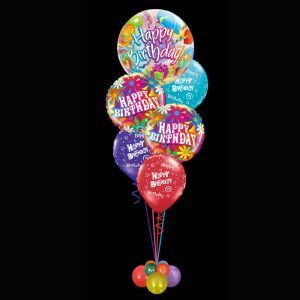 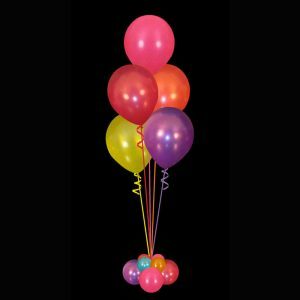 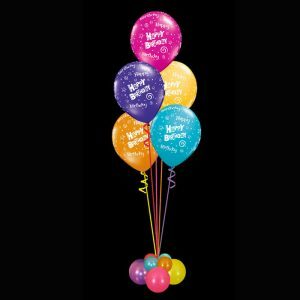 All latex balloons are treated with Ultra hi float. 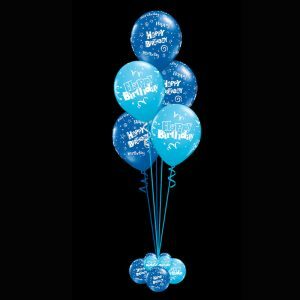 Prices are plus delivery, delivery will depend on your suburb. 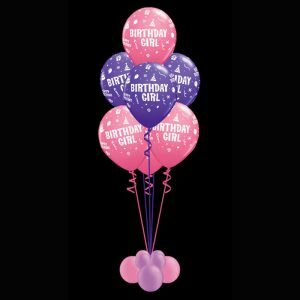 Balloon Bouquets. 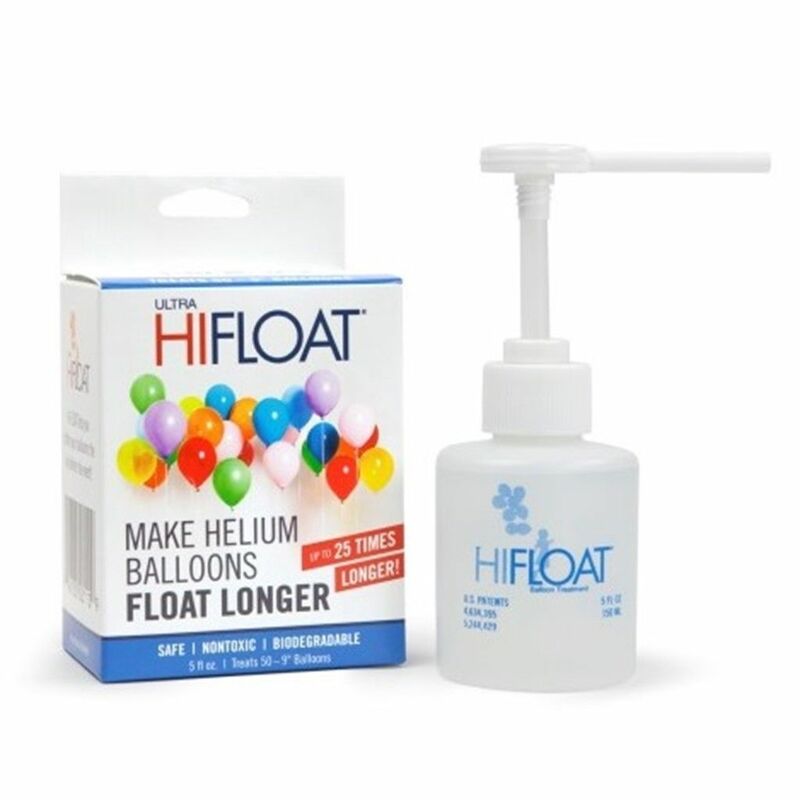 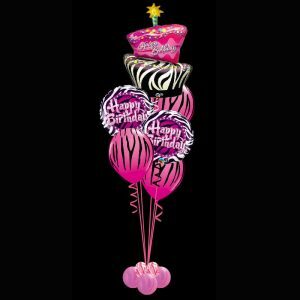 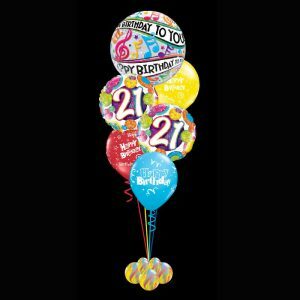 We only use the highest quality helium grade latex balloons, they are 100% biodegradable. 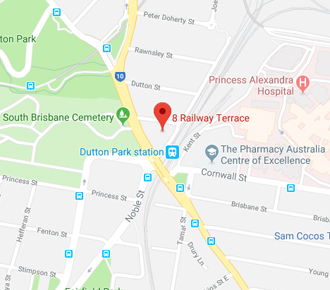 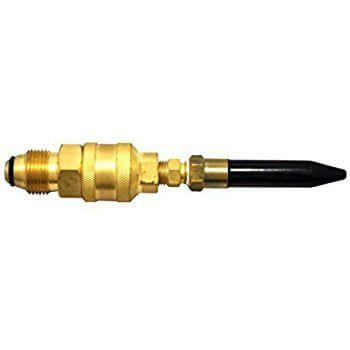 Please do not hesitate to call us on 0422 465 440 if you have any questions.